The resourceful creatures appear to be using the animal as a living island, as they bathe in the heat of Kruger National Park in South Africa. Semi-professional photographer Stephen Earle took the photos on one of his regular visits to the park. 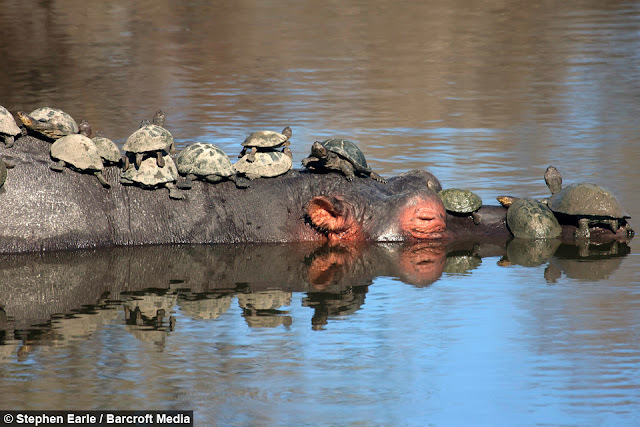 The 42-year-old lawyer said: “It is certainly not uncommon for terrapins and other animals or birds to sit, crawl, or land on the backs of hippos. 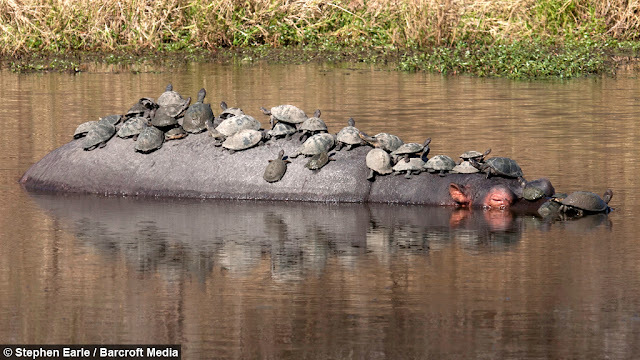 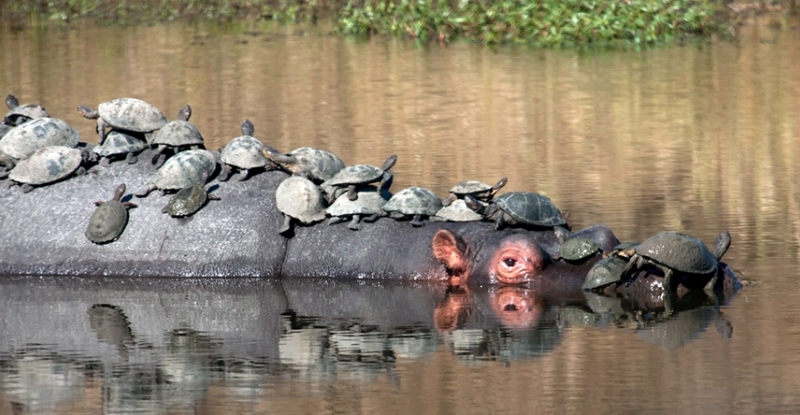 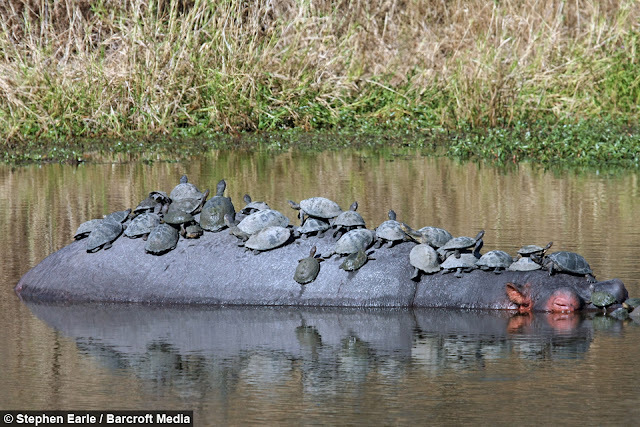 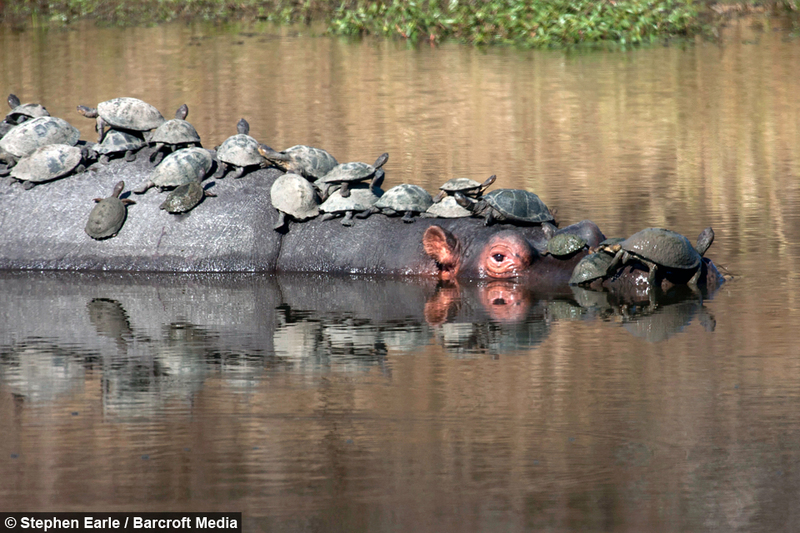 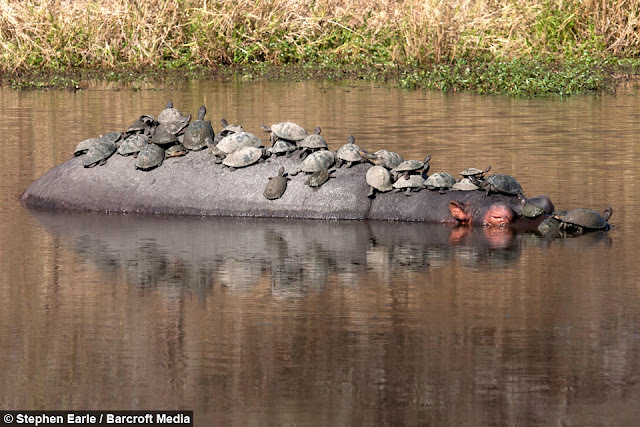 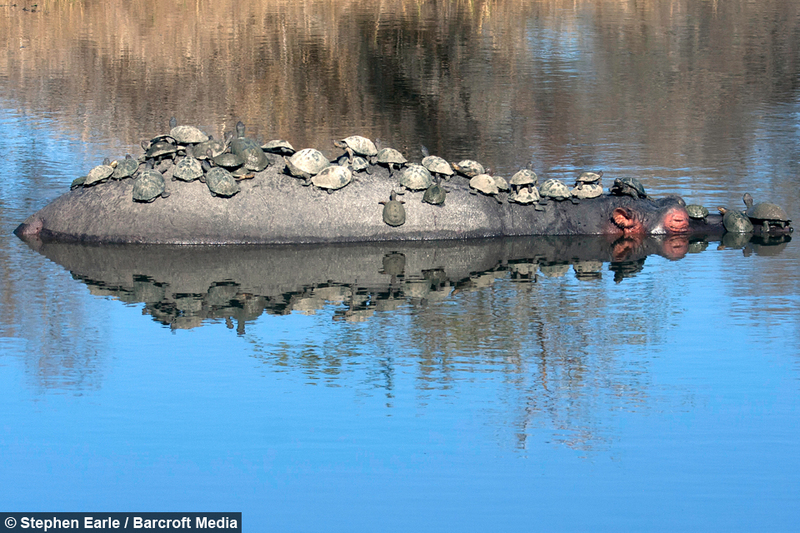 ‘What is rare in this photo is the sheer number of terrapins on the hippo. I have never seen such a large congregation of terrapins before and certainly not on the back of a hippo. The terrapins, or freshwater tortoises, were spotted by Stephen in the southern section of the park. 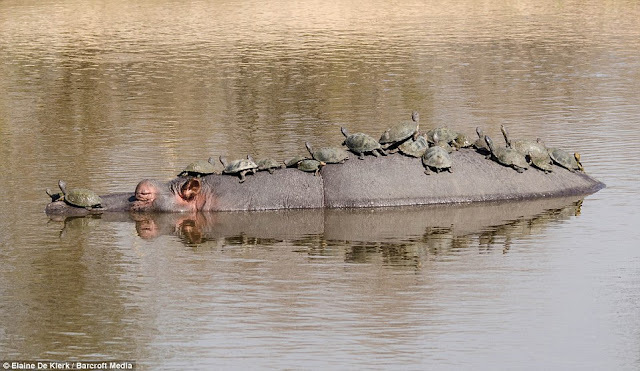 South Africa is home to five different species of the animal, along with five species of turtle, and a further 12 species of tortoise. Responses to " Friendly hippo allows family of terrapins to sunbathe on his back (Photos)"